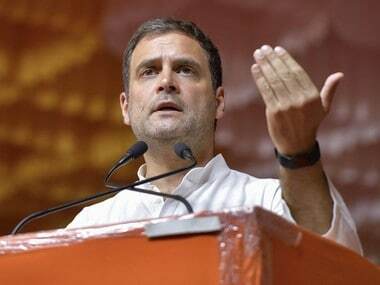 Flanked by prominent United Progressive Alliance leaders, Opposition presidential candidate Meira Kumar, filed her nominations on Wednesday, the last date for filing of nominations, in the presence of Congress president Sonia Gandhi and a number of Opposition leaders. Kumar filed a set of four nomination papers which were proposed and seconded by leaders of a number of Opposition parties. 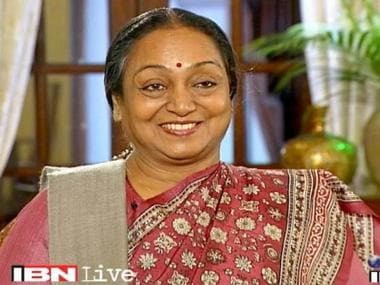 She filed her papers before the Lok Sabha secretary general, the returning officer for the 17 July Presidential Election. 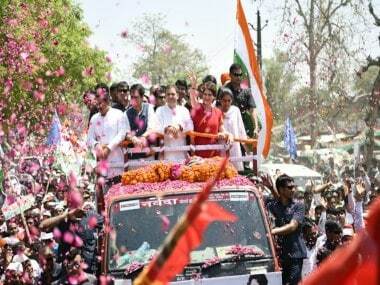 Sonia Gandhi and other top Congress and Opposition leaders were amongst those who proposed and seconded her nomination. Kumar also visited Rajghat and Samta Sthal, the memoirs of Mahatma Gandhi and her father Jagjivan Ram, to pay her respects just before heading on to file the nominations. Leaders of a number of opposition parties including Communist Party of India (Marxist)'s Sitaram Yechury and Trinamool Congress' Derek O'Brien and other leaders representing Opposition parties like the DMK, Samajwadi Party, Bahujan Samaj Party, and Jharkhand Mukti Morcha also accompanied her during her nomination filing. Speaking to the press after completing the nomination formalities, Kumar said, "From today our fight for ideology starts." 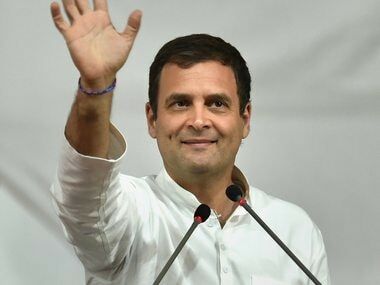 Congress vice president Rahul gandhi, who is currently vacationing in Italy also tweeted on the occasion and said he was proud that Kumar was chosen to represent the values that represent the nation. The 75-year-old Kumar is the joint opposition candidate of 17 non-NDA parties against the ruling NDA's nominee Ram Nath Kovind. Kumar, a former Lok Sabha speaker, will launch her campaign from 30 June from Sabarmati Ashram in Gujarat, soon after the scrutiny of nominations on 29 June. Kumar had earlier made an emotional appeal to the electorate comprising MPs and MLAs to cast their vote with their "inner conscience". She also said the president's post cannot be used for narrow political interests. Taking a leaf from former prime minister Indira Gandhi's appeal made during the 1974 presidential poll in favour of VV Giri, Kumar said, "This is that moment when one should heed to the inner voice of conscience and set the course of the nation."